As my work week revolves around structure and set appointments, I like to indulge in spontaneity come the weekend. I love the relaxed culture here and it blends perfectly with my weekend persona. Given that this particular day is going to be somewhat strenuous, I decide to have 2 breakfasts instead of the traditional one. After polishing off my regular bowl of porridge oats, my wife asks, do you fancy a coffee? Damn right I do! We head down to our favourite little local cafe in Montjuïc, L’Artesà (Gran Via de les Corts Catalanes, 272) where we’re on a first name basis with the owner and staff. I order my usual café con leche and a whole grain croissant. Both of which never fail to impress! Over breakfast number two I arrange with a buddy to bash out a workout on the beach. I hop on my bike and I’m on my way. We meet at one of the many beach front workout spots. 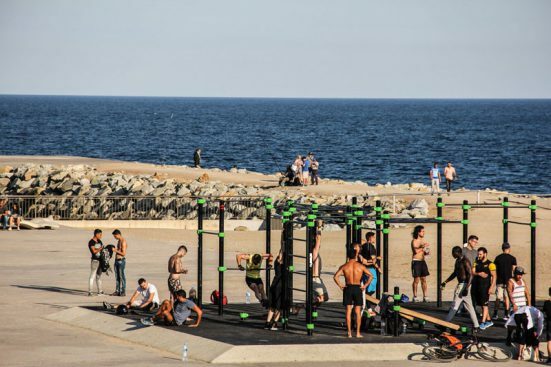 You may know them as the tame version of California’s muscle beach. Baking in the summer sun, we work our way through 60 minutes of push ups, pull ups, dips and burpees before calling it a day (at least as far as our workout is concerned). Post workout we very loosely arrange a get together with some friends at our favourite beach, Ocata – a 60 minute leisurely cycle along the beach front from where we currently stand. It’s a gorgeous cycle along the coast and surprise, surprise, despite arriving somewhat tardy, we’re the first there. 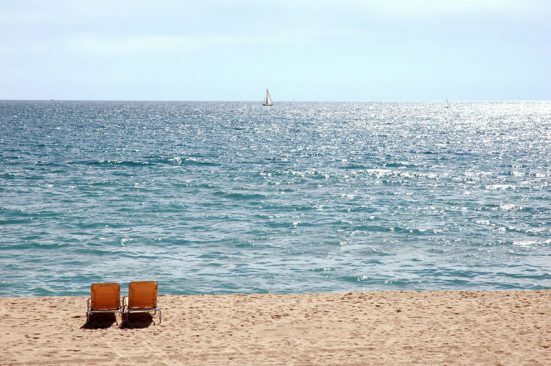 There’s definitely something to be said about the laid back approach to life in Spain (at the weekends at least). Being from Scotland where tardiness is frowned upon, the relaxed lifestyle in Spain is something I don’t take for granted. After claiming our spot on the beach and setting up shop, we hit up our nearest chiringuito for some not so light refreshments. We order mediocre patatas bravas, rabas and a couple of ice-cold beverages to take the edge off the heat. I spend the next few hours taking dips in the sea, playing paddle ball, chatting with friends and relaxing until the sun sets and it’s time to head back into the city. Sun kissed and fading fast we ponder the prospect of cycling back for a millisecond but instead opt for the train. My wife and I hop off the train at Sants and realising it’s already too late to do any food shopping, we decide to stop by Lascar 74 (c/ Roser, 74). It’s pisco disco night and the tunes are epic. Owners Rob and Peter are on top form as always. 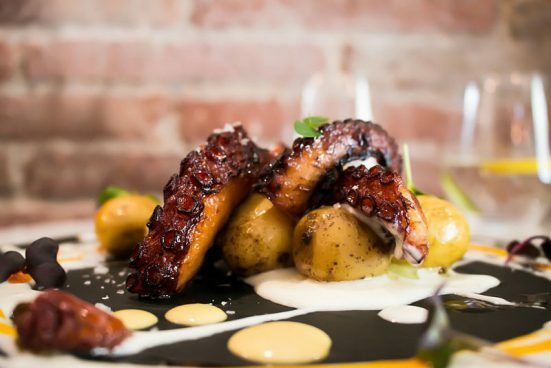 Their immaculate attention to detail have made this one of my favourite restaurants in Barcelona and a must try for any seafood enthusiast. We order the salmon poke, octopus and “the yellow one” – a ceviche made up sea-bass, choclo (sweetcorn) cancha (toasted corn) and sweet potato with added prawns. The service is rapido, the food is delicious and given the quality and freshness of the ingredients, the prices are ace! Stumbling out of Lascar 74 with our bellies full, we take a slight detour on our way home through Plaça del Sortidor. 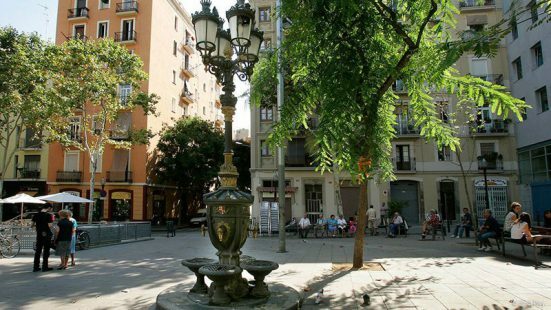 It’s a local gem rich in culture and much like the rest of Poble Sec, has yet to be exploited. We found it during the Poble Sec festival last summer and it has quickly become one of our favourite spots to grab a drink, a seat and feel like a local for an hour or two. Exhausted and in bed by 11pm, it’s been the perfect day. Martin is a kilt-wearing Scottish-born personal trainer and all round fitness guru. Having travelled the globe 3 times over, he’s fully settled and delighted to call Barcelona his home. 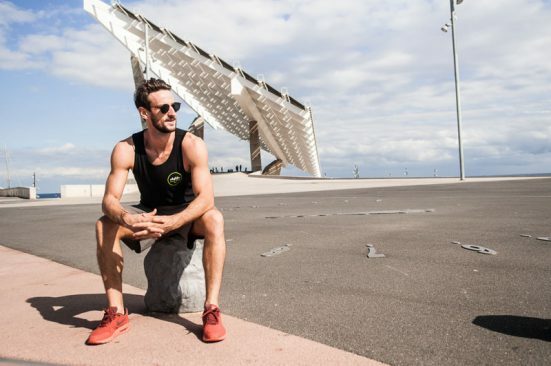 Martin is the founder of health and fitness company, Ebylife. They offer a variety of bespoke personal training and fitness solutions in Barcelona and online. For more info, check out the Ebylife website or follow him on Instagram or Facebook.